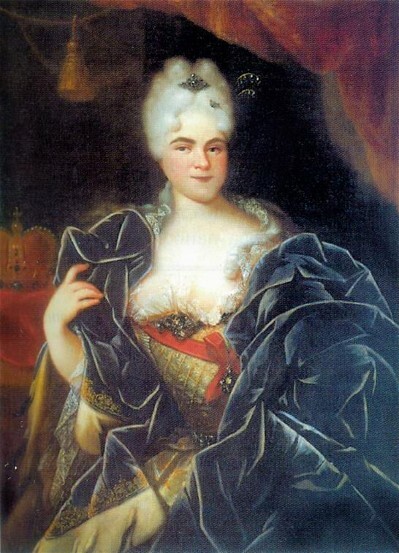 Catherine I (Ekaterina Alekseevna), b 15 April 1684 in Marienburg, d 17 May 1727 in Saint Petersburg. (Portrait: Catherine I.) Empress of Russia, 1725–7. Catherine, née Marta Skowrońska, was the daughter of a Lithuanian peasant. She succeeded her husband, Peter I, and continued his policies. She was largely dominated by Aleksandr Menshikov, the effective head of government. Under Catherine I the Little Russian Collegium was in charge of Ukrainian affairs.